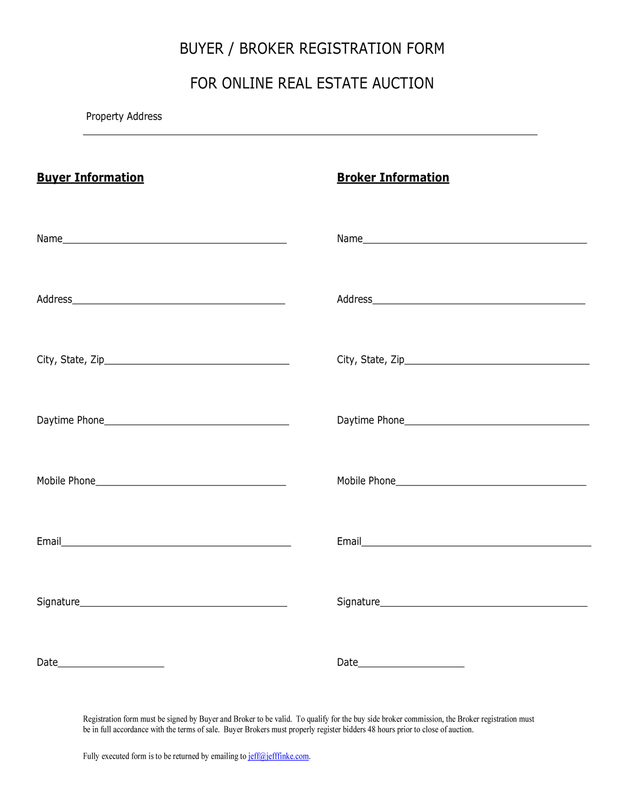 to download form, right click and select "Save Link As"
Registration form must be signed by Buyer and Broker to be valid. To qualify for the buy side broker commission, the Broker registration must be in full accordance with the terms of sale. Buyer Brokers must properly register bidders 24 hours prior to close of auction. Fully executed form is to be returned by emailing to jeff@jefffinke.com.